As much as my kids love potatoes, they want them roasted and not mashed. I feel it will only take a little more time until they realize just how great mashed potatoes are, but until then I always have leftovers (I still make enough mashed just in case they decide to change their minds and eat them)! There are some leftovers that I can not get enough of and for some reason leftover mashed potatoes are not one of them. For me, mashed potatoes need to be fresh! However, I love love love having leftover mashed potatoes because I love love love homemade gnocchi ... and the kids do too! 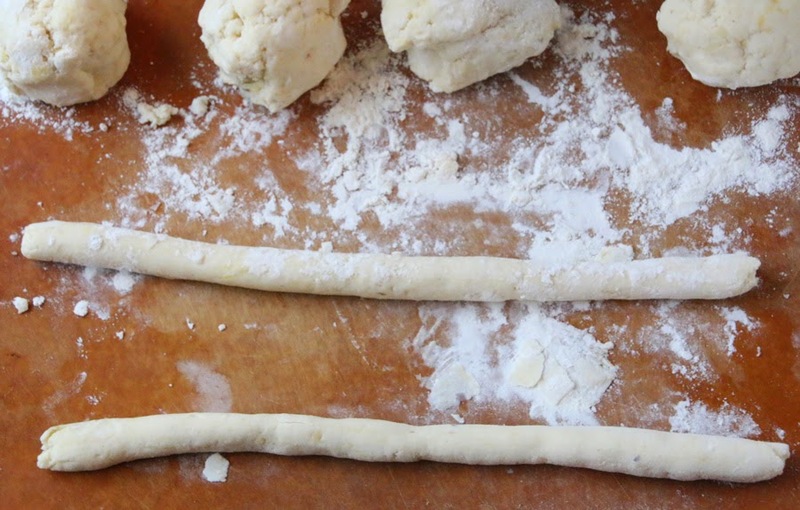 Gnocchi is surprisingly super easy to make so don't be intimidated by making a 'pasta' dough. That's not what this is at all. You get to throw all the ingredients into a bowl and go to town working them together with your hands. It's fun, it's fast, it's fabulous! Now, for the roasted garlic. You may be beginning to think that I add roasted garlic to everything and you know what ... you're right! It's delicious and healthy for you. Yes, it's healthier in it's raw form, but roasted is just so good. You don't have to add the roasted garlic to the gnocchi, but I promise that if you do, you won't regret it. 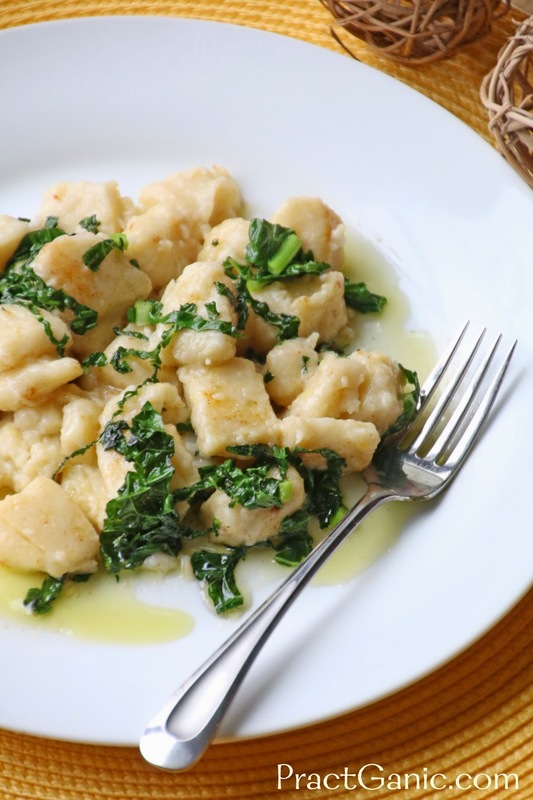 It gives the gnocchi the extra flavor and intensity that it needs. So many gnocchi's that I have had are good, but it's only because of the sauce that they are served with. This gnocchi is great all by itself (but a sauce is still a must!). *If you don't have that many mashed potatoes, you can use half mashed potatoes and half ricotta cheese. It's equally amazing! Place all ingredients in a bowl. Here's the fun part ... get your hands in there and start mixing! Once all the flour is incorporated it should have a dough-like consistency. 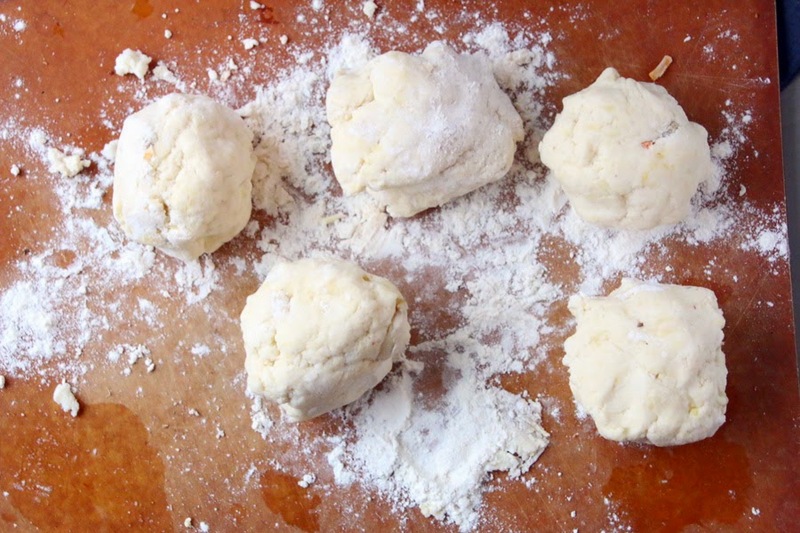 Divide your dough into 5 even balls. Begin rolling out the balls into ropes with your hands, starting from the inside of the rope and working your hands outwards. I have an 18 inch cutting board and once the rope is about as long as the cutting board, I divide it in two and make 2-14 inch ropes. You want the ropes to be as even as possible so they cook evenly. Next, cut the rope into 1 inch increments. 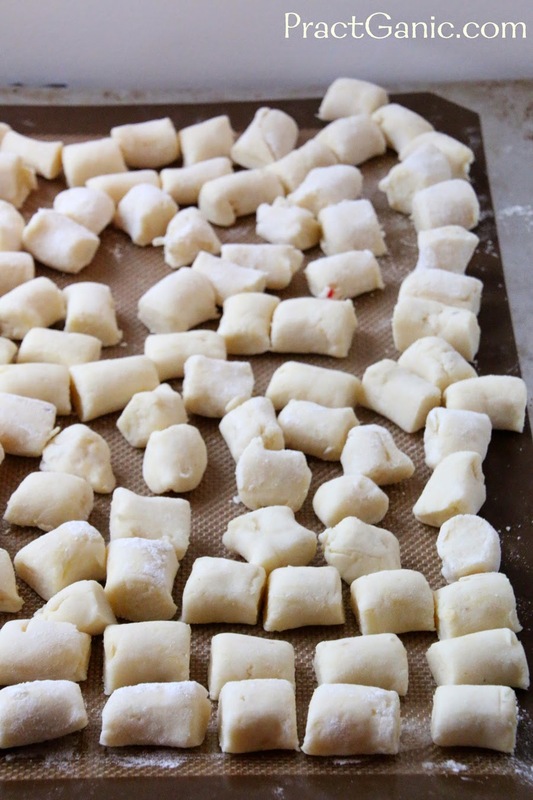 Place the gnocchi on parchment paper. When they are all done, use a fork to make a fork mark in each one. 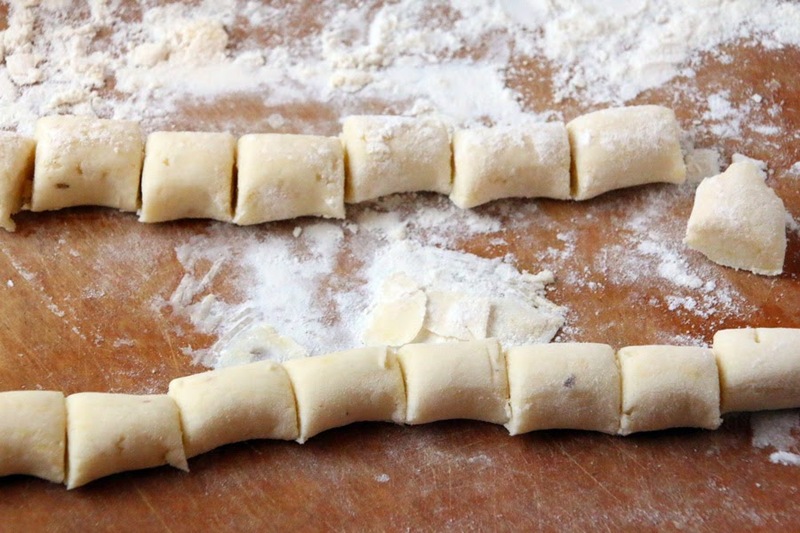 This step is not necessary, but I have found that the gnocchi will hold the sauce better once it's cooked if they have the marks. Now, it's time to cook or store them. If you are making these ahead of time, cover them until ready to use and place in the refrigerator. They can be made a day ahead. 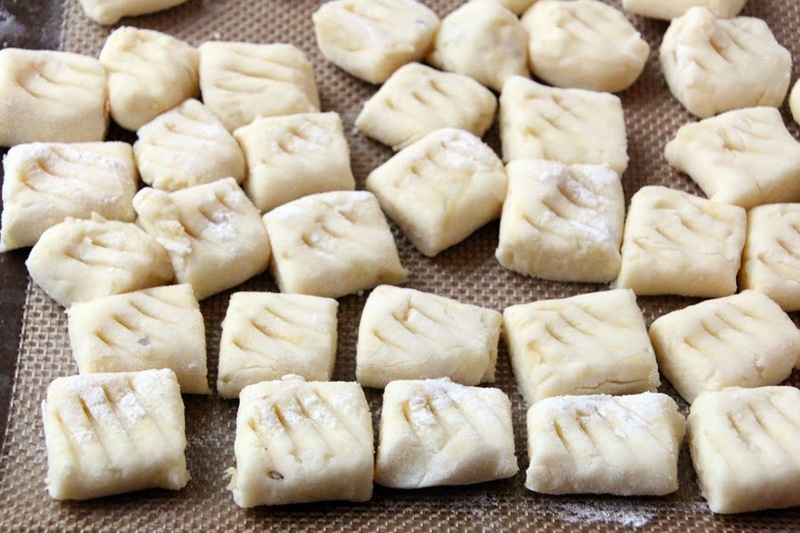 When you're ready to cook them, simply boil salted water and working in batches drop your gnocchi in the boiling water. Once they float, they're done. It usually takes only 3-4 minutes at the most. You can serve them like this, but I find that it's better the transfer them from your boiling water to an oiled pan and lightly sauté them for a couple minutes. You won't regret the added flavor. Now, top with your sauce and enjoy! 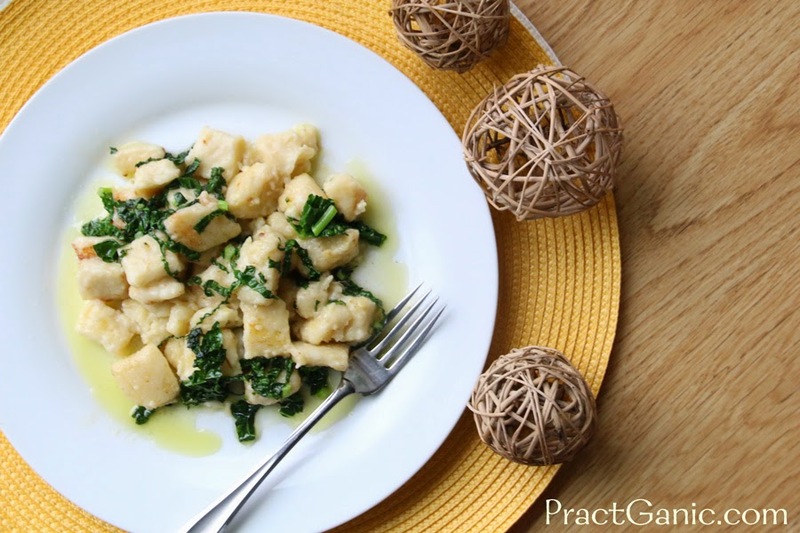 My favorite way to have gnocchi is with a brown butter sauce and julienned kale but sage pesto is a close second (plus I try to limit my brown butter sauces to twice a year)! When I'm really rushing around, I will put a little olive oil and nutritional yeast on my gnocchi. All are so good. To Freeze: If you are freezing them, lay them out on wax paper and place them in your freezer. Once frozen, put them in freezer safe bags for up to one month. When you are ready to use them, thaw them slightly in the refrigerator and cook. It's that easy!